Company begins national expansion in Arizona. Bidology taking on Angie’s List, Thumbtack, and others that have a “pay to play” mentality. GILBERT, Ariz. - Aug. 3, 2015 - PRLog -- As a small business owner, Adam Younger became increasingly frustrated with paying membership dues, and purchasing credits to apply toward a service request, none of which guaranteed him business. As such, he decided to re-engineer the way consumers connect with local service providers. Welcome to Bidology, the new local service marketplace that is taking on Angie’s List, Thumbtack, and others that have a “pay to play” mentality. 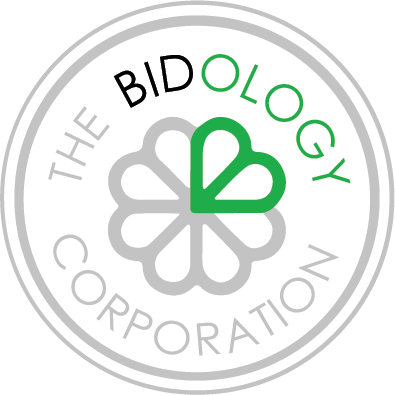 Bidology offers a comprehensive bidding platform for consumers looking to hire for services across the home improvement, automotive repair, health and beauty, professional, sporting, entertainment and other applicable categories. The premise behind Bidology is simple. Consumers log onto www.bidology.com and type a brief description of the service they need completed and upload any relevant information to better explain to request to providers. Before submitting their request, the consumer then enters either a maximum bid amount they are willing to pay for the service to be completed, of they can simply request bids from local providers whose skillset matches their request. Once a service provider is hired, Bidology safely administers the consumer’s payment, and funds are released to the service provider once project is complete, or in milestone payments as mutually agreed upon. With Bidology, there is finally a platform for consumers to tackle their to-do list and stay within their budget. True to Younger’s vision, Bidology does not charge membership fees or makes service providers apply credits toward a consumer request. Bidology only gets paid when the service provider gets paid, by deducting a small 2% fee from their payment. Since its July 1st launch, Bidology has enrolled more than 850 local providers awaiting service requests in the Phoenix market. Consumers simply submit their service request to start making connections at no charge. With its Phoenix market launch, Bidology is looking for user feedback so that they can continue to refine the offering in preparation of its national launch, beginning in October. Bidology is the new local service marketplace! Headquartered in Phoenix, AZ, Bidology offers an e-commerce solution that is revolutionizing the way consumers shop for professional services. Focused on growing communities by encouraging consumers to shop local, Bidology empower consumers to stay on their budget by placing a bid for any type of professional services. Service Providers utilizing Bidology receive qualified consumer requests at no charge. Bidology is completely free for the consumer, and only receives payment when the provider does, by deducting a small 2% service fee from their payment. Since its launch, Bidology has enrolled more than 850 local service providers in Phoenix, and plans to seek funding to scale nationally beginning in October. More information about Bidology’s offerings can be found at https://www.bidology.com.